The S-c-h-o-o-l word is on the tips of everyone’s tongue but there’s still plenty of summer left to enjoy. 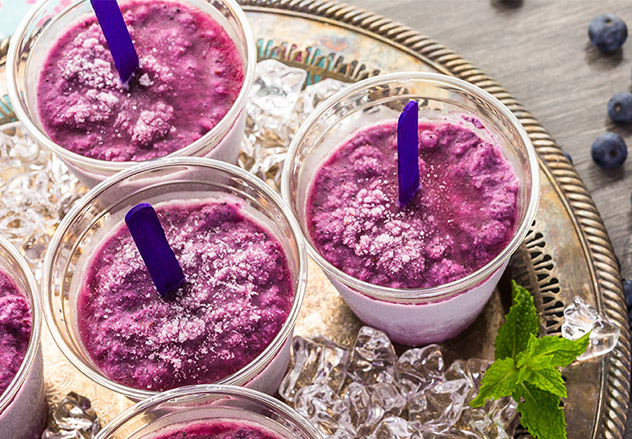 Cool off with these treats that are easy to make at home and feature one of the best things for you, Aroniaberries! 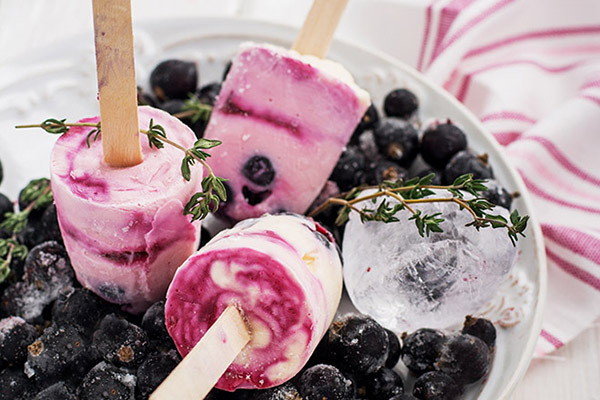 These frozen yogurt pops are purple powered. In this recipe, Aroniaberries take the center stage. We combine our berries with yogurt, a banana, and honey for the ultimate berry pop. Get the recipe. 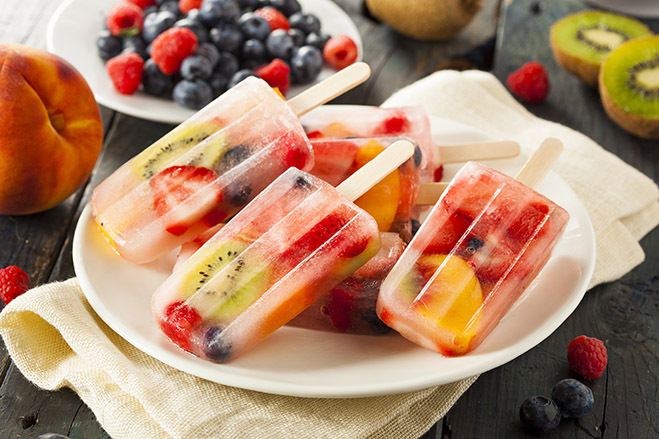 These popsicles are dessert on a stick. Plain Greek yogurt, honey and lemon swirled with blended aroniaberries create a treat sensation. Click here for the recipe. 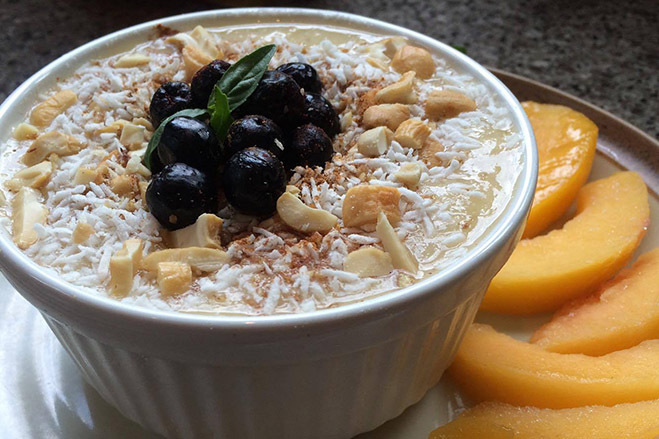 This aronia peach smoothie bowl makes a super recipe for creating frozen treats. Combine Cashew Milk, Frozen Peaches, Ice, Agave or sweetener of your choice. Pour in a popsicle mold. 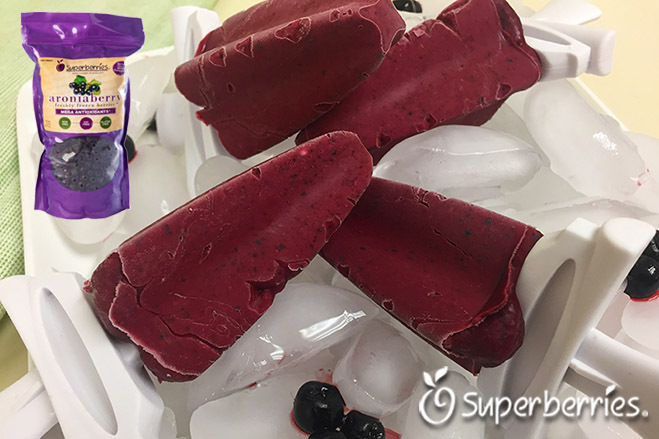 Swirl coconut, cashews, cinnamon, and Aroniaberries into the molds for a super delicious popsicle. Here's the recipe. We’re sneaking a little kale into this recipe. 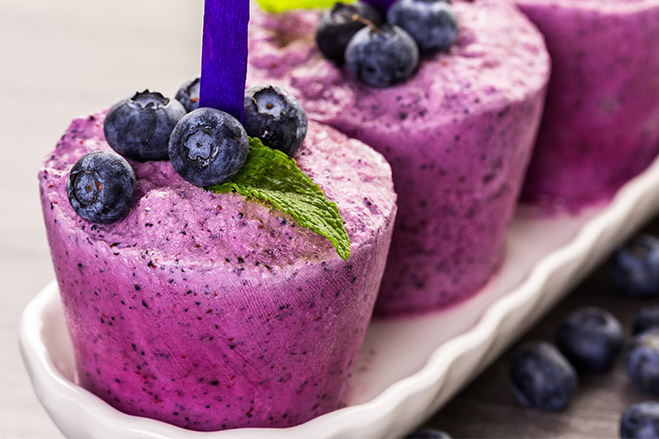 Combine coconut milk, plain greek yogurt or kefir (blueberry or strawberry), aroniaberries, kale and maple syrup or honey for a super healthy smoothie. Pour in paper or plastic cups to make freeze pops. Here's the recipe. This smoothie bowl combines frozen cauliflower, aroniaberries and cherries with cashew milk, oatmeal, protein powder and ice. That’s some serious antioxidant power. 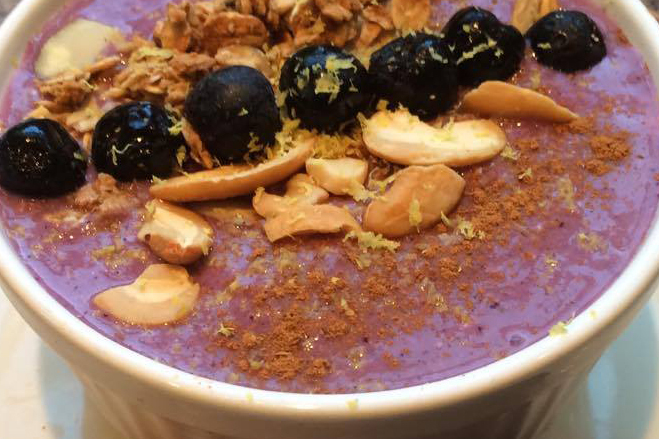 Place smoothie bowl mix in paper cups, swirl in cashews, extra cherries and aroniaberries. Freeze for 30 minutes and add popsicle sticks. Get the recipe here. We love this recipe from SheWearsManyHats.com. 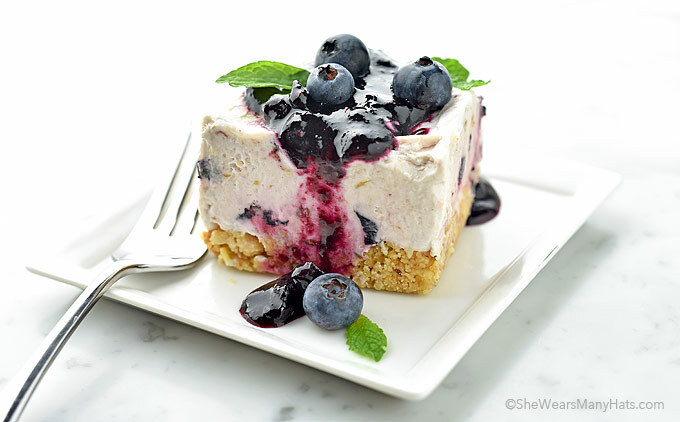 We've substituted the Blueberries for Aroniaberries. This recipe makes the ultimate froze dessert. Perfect for summer gatherings. See the recipe below. Preheat oven to 325-degrees F. In a mixing bowl, combine flour, brown sugar, almonds and melted butter; spread into an 8×8-inch pan. Bake at 325-degrees F for 20 minutes. Stir a couple of times. Let cool. Once cooled, evenly press the mixture in bottom of the 8×8-inch pan to create crust. Set aside. In a bowl, crush about 3/4 of the aroniaberries. Stir in lemon juice. Set aside. In a large mixing bowl, beat pasteurized egg whites and granulated sugar on high until slightly stiff. * Separately, beat whipping cream until soft peaks form. Add beaten egg whites/sugar, crushed aroniaberries and lemon juice to whipping cream. Gently fold together until incorporated. Spread mixture evenly over crust. Cover and freeze for at least 4 hours or until firm throughout. Cut in squares to serve. Garnish with additional aroniaberries if desired.